Make sure you enter before it's too late! 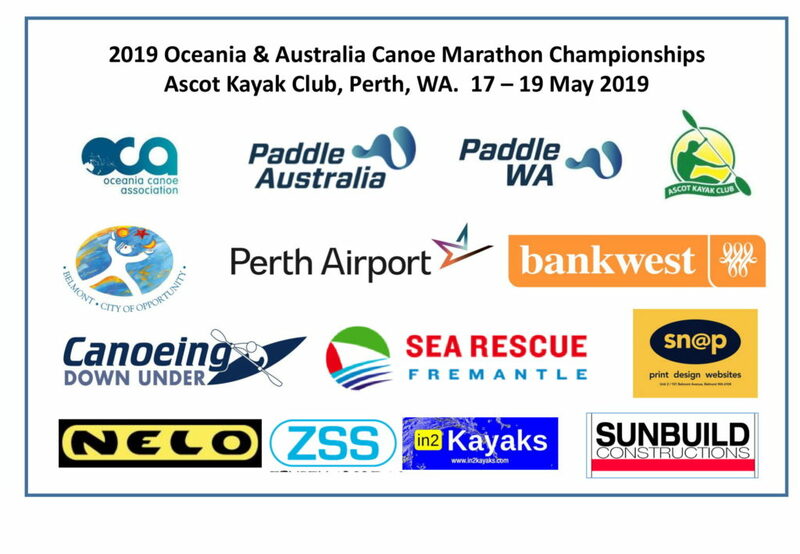 Good luck to everyone competing in the 2019 Oceania & Australian Canoe Marathon Championships. All paddlers under 14 must wear a Life Jacket. Those who are not strong or confident swimmers may choose to wear a Life Jacket. The Competition Committee can and may direct others to wear a Life Jacket. Competing craft must have fixed floatation or be constructed of a material they will float when full of water. A section of Garvey Park, next to Ascot Kayak Club, will be fenced off as a secure pen for competitors’ boats. Racks will be provided for storage of boats within this area. There will be security lighting and supervision at night time. Please note the program is subject to change. Please be advised this is subject to change. 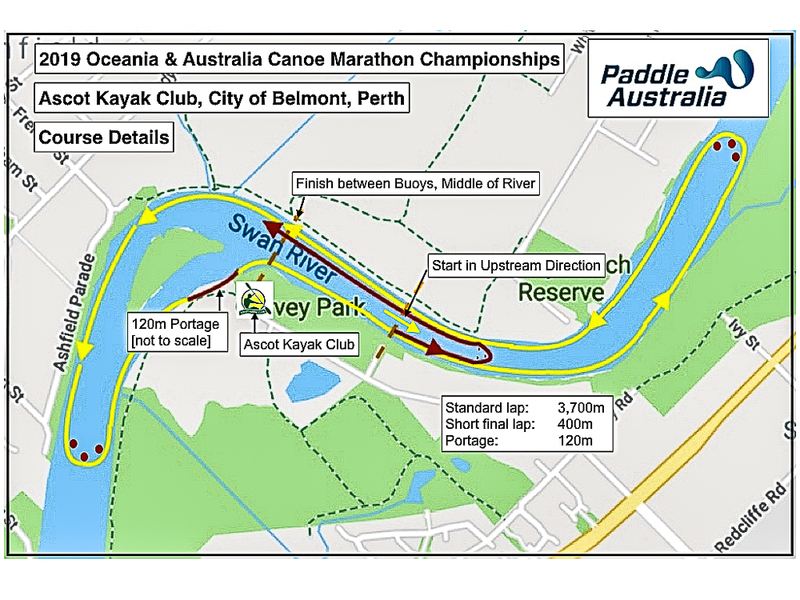 The event will be held at Ascot Kayak Club. The location is close to Perth Airport and to the Great Eastern Highway which is lined with a number of motels, hotels, & serviced apartments. There is a large caravan park very close by. 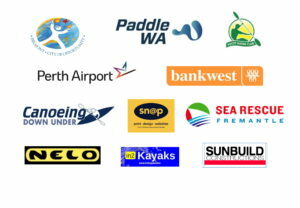 The kayak club is 13km from the centre of Perth and 30km from Fremantle and various ocean beach options.